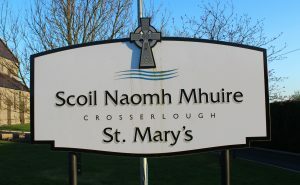 The late John Wilson, former Minister for Education, officially opened Crosserlough National School in 1981. The late Dr Francis McKiernan, former Bishop of Kilmore, blessed the school during a religious ceremony. 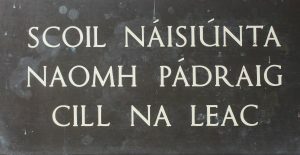 Kilnaleck National School is situated in the village of Kilnaleck. It was officially opened in 1970 and was blessed by the late Dr Austin Quinn, former Bishop of Kilmore. The new school replaced the 134-year old school on Church Road. The late Dr Francis McKiernan, former Bishop of Kilmore, was the chief celebrant at a Mass held on the school grounds to mark the official opening of the new school in Drumkilly. 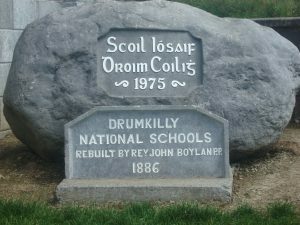 Built on the site of Fr John Boylan’s school (1886), it was officially opened in June 1975.